worse. During the opening days the statistics of the death toll of 72 was replaced by human faces. We got to know the victims through their relatives and we heard of tales of kindness, lovely characters and personalities plus solidarity and bravery in horrific circumstances. The public inquiry into the fire is currently paused for a week of memorials and vigils to mark the anniversary. Members of the north Kensington community will come together for a 24-hour vigil on the eve of the anniversary. 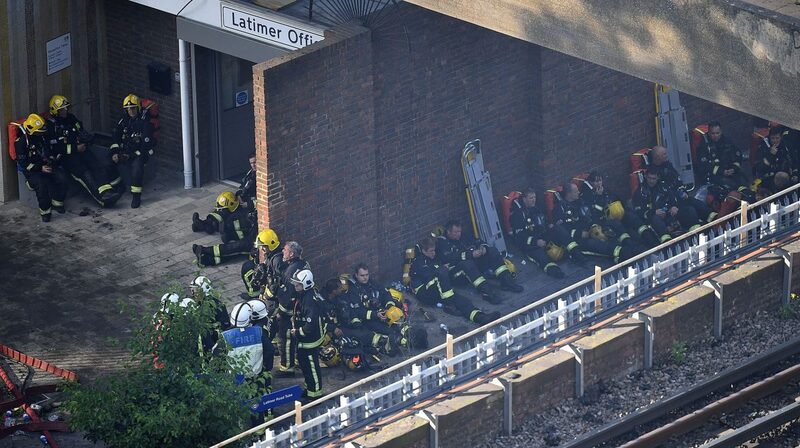 At 1:30 BST on Thursday, the names of the fire’s victims will be read out at the nearby St Clement’s church. Now we are learning the entire building could’ve been evacuated in under 45 minutes and the advice to “stay put” during the inferno was wrong, according to one report. The inquiry is expected to last around 18 months as the experts rake through several reports which examine how the fire spread so quickly, what safety measures were in place and the evacuation procedure on June 14 last year. As the bereaved families in Grenfell United say there is a long road ahead to get justice. justice must be delivered to the grieving families and survivors. Prime Minister Theresa May has said she will “always regret” not meeting the residents of Grenfell Tower in the immediate aftermath of the disaster. Writing in the Evening Standard, Mrs May said she understood her actions may have made it appear she “didn’t care”. In a show of solidarity, 12 tower blocks in the surrounding area will be illuminated in green. The buildings, plus Grenfell, will be lit up from 00:54 on Thursday – the time the fire is thought to have started – until 5:00. For the following four evenings they will be illuminated from dusk until midnight.